Concert footage from Peter Gabriel's 1994 "Secret World" Tour. Back when Peter Gabriel released US in 1992, it seemed like an eternity since his prior album; he’d put out the smash hit So in 1986. 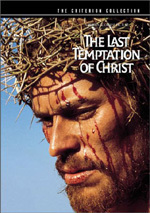 (Pete also did Passion, the soundtrack to Martin Scorsese’s The Last Temptation of Christ, in 1988, but I didn’t count it since it wasn’t a traditional Gabriel album.) However, Pete decided to show us what slow progress really meant with his next production. A full decade spread between the release of US and the arrival of Up in the fall of 2002. Damn, Pete – what took you so long? 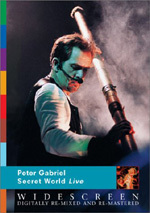 Perhaps to commemorate Pete’s return to the public eye, we’ve received a DVD issue of the 1994 concert film Secret World Live. 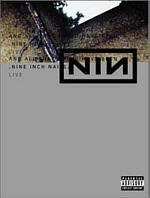 Shot in Modena Italy during two shows in November 1993 – the DVD’s booklet incorrectly asserts the concerts occurred in 1994 – the program finds the “Secret World” tour in full swing. After many earlier performances in the US and Europe, Pete and company find themselves well practiced and in control of the stage. Not surprisingly, World focuses heavily on the then-current US. A full seven of the DVD’s 15 songs came from that album. We got “Come Talk to Me”, “Steam”, “Blood of Eden”, “Kiss That Frog”, “Washing of the Water”, “Digging in the Dirt” and “Secret World”. Three more were off of So: “Sledgehammer”, “Don’t Give Up” and “In Your Eyes”. “Shaking the Tree” comes from a 1989 single, while “San Jacinto” stemmed from 1982’s Security. Apparently “Across the River” initially showed up on a 1982 single for “I Have the Touch”. Another obscure number, “Slow Marimbas” first appeared on the 1985 Birdy soundtrack. Lastly, “Solsbury Hill” first appeared on Pete’s solo debut in 1977. Many – including myself – might prefer a setlist that better encompasses Gabriel’s entire career, and some will definitely miss well-known tracks like “Shock the Monkey” and “Games Without Frontiers” as well as representation of the singer’s time with Genesis. Still, the show includes a pretty solid roster of songs, though it does tend to drag a little at times. The show starts well with the effective one-two punch of “Come Talk to Me” and “Steam”. The former seems like an unusual choice to launch the concert, but it proves effective, and it helps establish the mood for the evening. “Steam” remains a loose remake of “Sledgehammer”, but it’s still a catchy and lively tune, and it allows the show to move briskly. The pacing peters a bit after that, unfortunately. The set from “Across the River” through “Blood of Eden” tends to meander somewhat, mostly because it includes too many slower songs. Even a mildly peppy track like “Shaking the Tree” suffers from the ennui of this stage. If there’s a part of the show I tend to tune out, this is it. However, the effective visual staging of the performance helps overcome some of the musical slowness. I’ve listened to the album release from Gabriel’s 1993 shows more than I’ve watched this video, and I invariably become bored once we get to “River”. When we include the visual elements, though, the performance becomes substantially more entertaining. From his earliest days with Genesis, Gabriel always brought a nice sense of flair and spark to his concerts, and the staging for World follows suit. With those elements in place, even the songs that don’t greatly interest me become a lot more interesting. As music alone, I don’t care much for the tracks I mentioned, but they seem entertaining and stimulating when paired with the visuals. As one might expect, this means that the songs I do like work even better. World really boasts some intriguing and effective staging, and those elements make it consistently fun to watch. Despite all the gewgaws, Gabriel remains in firm control of the stage. Actually, after attending a couple of shows during his 2002-03 tour, it’s a bit of a shock to see him in slightly younger days. Gabriel aged substantially between 1993 and 2002, and it took me a few minutes to readjust to the svelte and handsome Gabriel after watching the tubby and bald one of current days. (This isn’t meant to indicate that the modern Gabriel isn’t still effective and entertaining; he’s not lost his skills due to extra weight and less hair.) Gabriel is a charismatic performer who takes charge on stage, and that helps prevent the occasionally busy staging from overwhelming him; a lesser artist would get lost in the technology. For the most part, World captures the original production well. We get a fairly good feel for the staging and all its different elements, and the program covers the various elements reasonably effectively. However, it does often become too democratic. We get an awful lot of shots of the other performers, and close-ups to boot, a factor that makes it tougher to examine the stage as a whole. This is Pete’s show, so while it’s nice to get glimpses of the others – particularly a pre-solo-success Paula Cole on back-up vocals – we need less of them and more of the star. I occasionally felt frustrated that we didn’t see him; how many similar shots of the band do we need? Nonetheless, Secret World Live works well more often than it falters. The concert offers effective staging with many vivid and lively visual elements and a strong performance from its star. It won’t do much for anyone who just wants a greatest hits show, but it should prove satisfying for others with an interest in Peter Gabriel’s work. Secret World Live appears in an aspect ratio of approximately 1.78:1 on this single-sided, double-layered DVD; the image has been enhanced for 16X9 televisions. While I wouldn’t call the picture of World a total disaster, it presented many problems and came as a definite disappointment. For one, the choice to make it a 1.78:1 image made little sense. From what I understand, World was shot 1.33:1, so this meant they needed to crop the original photography. This never seemed terribly intrusive, though the concert looked a bit tight much of the time. Even without that issue, however, the picture would be problematic. Sharpness was generally acceptable. More than a few shots came across as moderately soft, especially when they became wider. However, most of the show seemed reasonably concise and well-defined, although it seemed moderately pixilated on occasion. Unfortunately, jagged edges and some shimmering crept in occasionally, and I noticed mild edge enhancement. Apparently shot on film and not videotape, some source flaws emerged. I saw occasional examples of specks, grit, nicks and marks. The biggest problem, however, resulted from the massively grainy appearance of the image. Many have referred to these as compression artifacts, but I don’t think that’s the case. A few times during the program – the “head-cam” shots of “Digging In the Dirt” and a spoken introduction to “Secret World” – the presentation offered some non-filmed material. Those shots all looked totally free from the graininess that dominated the rest of the show. The absence of flaws in those shots made no sense if the problems stemmed from artifacts; those should distribute pretty evenly throughout the show. Nonetheless, the damage remained, and the graininess made the image tough to watch much of the time. World didn’t present a terribly broad palette, but the DVD replicated the tones fairly drably nonetheless. Red lighting came across as messy and thick, and other hues were flat and lacked much life. Black levels generally seemed pale and listless, and shadow definition was somewhat weak. I once read a comment about Secret World Live that stated it looked like a QuickTime video. I wouldn’t go quite that far, as the DVD presented occasional examples of reasonably attractive shots. However, the comparison was closer to the mark than I’d like, and World presented a fairly poor image. Happily, the soundtracks of Secret World Live helped compensate for the weak visuals. The DVD offered both Dolby Digital 5.1 and DTS 5.1 mixes. For the most part, the pair seemed pretty similar. The main difference came from the way they distributed bass. The Dolby track used the LFE channel more actively, whereas the DTS one usually pushed low-end to the main speakers. If you use full-range speakers set to “large”, this shouldn’t cause any problems, but for those with smaller speakers, you might prefer the Dolby track. Otherwise, I thought both seemed quite satisfying. A true remix of the source material, World made nice use of all five channels. As one might expect, the forward speakers dominated, and they presented the music in a clean and well-delineated manner. Instruments popped up in appropriate locations and blended together quite smoothly. The track also used the surrounds more actively than usual. This occasionally felt a little gimmicky, such as at the start of “Steam”; it featured percussion that slowly swirled around the room. Nonetheless, this never felt too awkward, and it mostly added a nice sense of involvement to the proceedings. Audio quality was very solid. Vocals sounded concise and natural, though I got the impression many – if not most – of them had been re-recorded for this document. Pete’s singing didn’t always integrate cleanly with the visuals, and a lot of his lines simply didn’t seem live. The discrepancies weren’t glaring, but they caused a few distractions. Whether or not World used non-live vocals, they sounded good. All instrumentation came across as vivid and distinctive. The material was tight and well defined, and each element stood out nicely. Highs were clear and bright, and lows usually appeared firm and reasonably powerful. Actually, bass response probably could been a bit stronger, but I didn’t have any real complaints in that department. Overall, the audio of Secret World Live sounded positive. Unlike most concert DVDs, Secret World Live comes with a decent complement of extras. Timelapse speeds us through the set-up of the “Secret World” stage. During the three-minute and 10-second piece, we watch the crew build the stage, the audience file in, the band play, and then the teardown process. It’s a cool look at all the work that goes into staging a complicated concert. Behind the Scenes runs 15 minutes, five seconds, and covers various topics related to the “Secret World” tour. We see images from the show along with comments from Gabriel. He discusses the staging, what he intended to do with the concert and various elements, and the band. The best moments come from the actual behind the scenes shots, as we watch the roadies make it work. Otherwise, Gabriel offers some fairly uninspired remarks that don’t shed a ton of light on the tour. In the Quiet Steam Photo Gallery, we get two supplements packed into one. While we watch stills from the “Secret World” shows, we hear the subdued remix of “Steam” called “Quiet Steam” (natch). This runs six minutes and 24 seconds. It’s not a great collection of shots or a terrific version of the song, but it’s a reasonably nice addition to the set. 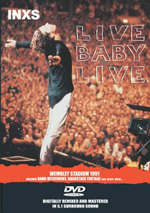 We find a look at Gabriel’s latest tour in Growing Up Live 2002/03. During this seven-minute and 35-second featurette, we see elements from the shot and hear Pete discuss the staging and the band. He offers some decent insight into what he wanted to do, and this offers a good teaser for the concert. Finally, Secret World includes a booklet. This includes some concert photos as well as band and production credits. Peter Gabriel has always been a lively and vivid performer, and Secret World Live shows him in good form. The concert doesn’t always succeed, but it presents much more good than not and is a solid presentation. While the DVD enjoys excellent audio, it suffers from weak visual quality and only a mediocre mix of extras. The show’s good enough to merit a tepid recommendation, but this DVD will remain a disappointment due to the flawed picture.